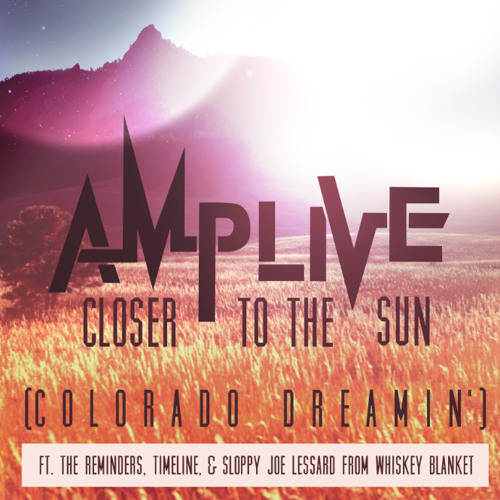 Watch the official Music Video http://www.youtube.com/watch?v=FhZ-7nW5cjA Like Amp Live's facebook page: https://www.facebook.com/amplive?ref=br_tf Straight from the mountains of Colorado comes Amp Live's newest single, Closer To The Sun. Whirling arpeggios mix with grounded strings and a weighty beat, creating a positive atmosphere made to lift your spirits. The ReMINDers, Timeline, and Sloppy Joe offer up a tasteful chorus of melodic vocals mixed with imaginative, intelligent hip hop lyrics to round off the track in modern fashion. Living up to it's namesake and inspiration, Closer conjures imagery of days spent snowboarding under a blue sky and chilly nights out enjoying the vibrant Mile High culture. Keep your eyes peeled; Amp's full length album, "Headphone Concerto", is slated for release in Spring 2014 via Plug Research. What happen to Alvin and the gang? Dope jam Amp, and The ReMINDers throwing it down! CO Love"
I like this song, it's really nice!